The core experience in Design and Technology is essentially about providing opportunities for students to develop their capability, through combining their designing and making skills with knowledge and understanding in order to create quality products. Settle College places emphasis on “quality” products as there is great benefit in students experiencing success, and seeing and handling products that are well made. In addition we see the preparation of young people for citizenship in a technological society as a central activity within the subject. Our Staff are well versed in the use of Technology and the specialism is having significant impact across the curriculum. An exclusive jewellery outlet has approached your small design company and commissioned you to design and make a prototype pendant, key ring or phone charm for them. They have specified that it be made from a metal and that it is produced to a high standard. Students will gain understanding of ; CAD and CAM, working with metals and safe workshop practice. Course Objectives: To design and make a soft toy monster or character using a range of recycled fabrics, this could either represent your personality, your appearance or a famous person of your choice. Global cuisine and the impact of packaging on the environment. Students will follow a course where they encounter foods from around the world and analyse how they have and can be made. They will look at packaging and how we can reduce its impact on a world stage. Monster Mobile Phone Holder. A gift shop has an existing product on which they would like to expand. They want to keep the basic construction of the design as this is cost effective. Careful lay planning will be needed. They want you, the designer to design and make a prototype Mobile Phone Holder based around a target market using a monster theme. Students will gain an understanding of; CAD and CAM, working with plastics and safe workshop practice. Sub Zero is a Winter Sports outlet specialising in snowboarding. They have identified an area in their range that they wish to expand on – the young adult market. Electronics in clothing have become more popular recently and Sub zero want to use this in their products. They have suggested lights which could play an important (and fun!) safety role for the wearer. They want you, the designer, to design and make a prototype hat for skiing or snowboarding. It has to have their logo on it and some form of decoration. The term “Graphic Products” refers to a number of artistic and professional disciplines which focus on visual communication and presentation. Various methods are used to create and combine symbols, images and/or words to create a visual representation of ideas and messages. A Graphic Designer may use typography, visual arts and page layout techniques to produce the final result. Graphic Design often refers to both the process (designing) by which the communication is created and the products (designs) which are generated. Common uses of Graphic Design include magazines, advertisements, product packaging and web design. For example, a product package might include a logo or other artwork, organized text and pure design elements such as shapes and colour which unify the piece. Composition is one of the most important features of graphic design, especially when using pre-existing materials or diverse elements. Graphic Design is an important area of focus in the Technology Department. We specialise in the use of Adobe Photoshop, which allows students to produce work of a standard seen in real life products. Product Design is concerned not only with how objects are designed, but also with improving the way in which they operate. It is a subject that has multiple and varied everyday applications, covering the design of anything from a butter-knife to a Nintendo Wii controller. Initially, students will look at the theory of Product Design via a variety of modelling projects, for example designing and producing an MP3 player. Within this, they will use CAD/CAM technology in the form of “Pro-Desktop”. 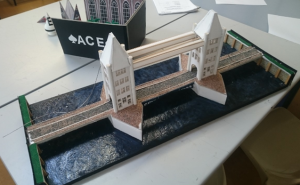 They then continue to build upon their skills in developing 2D designs that can be realised in three dimensions on the “Boxford Router”. 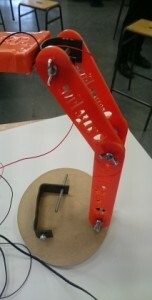 Following on from this, the students concentrate on the controlled assessment element – “Designing and Making a Product”. The product concerned may be chosen from several set themes. 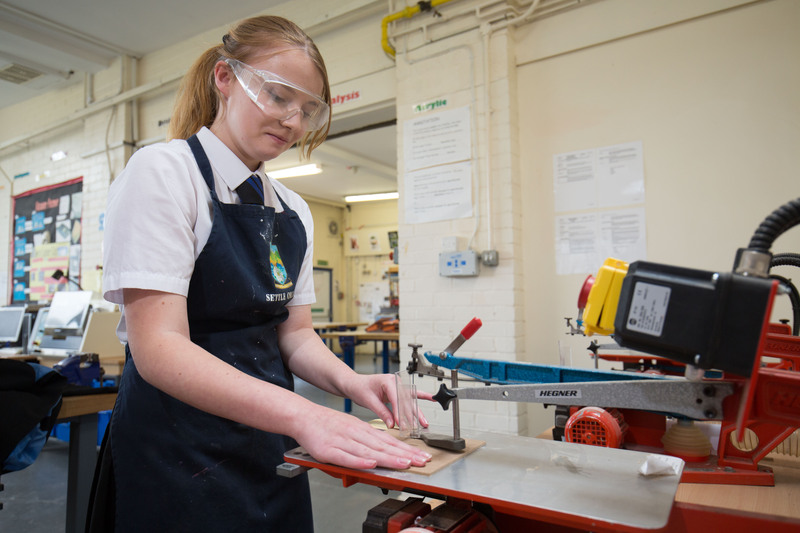 GCSE Product Design is assessed through 60% controlled assessment and 40% examination. Students can progress onto the A-Level Product Design courses in the Sixth Form, or use this GCSE as a first step towards a career in Architecture, Product Design or Engineering. 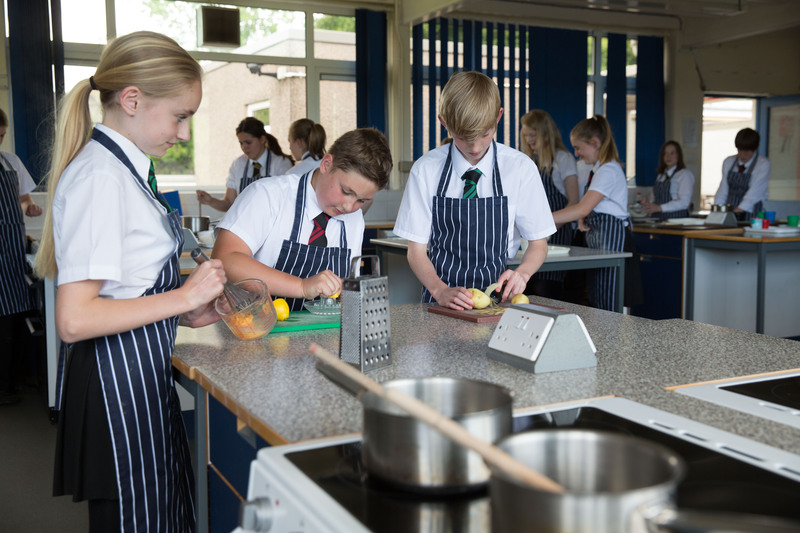 Our GCSE Catering course is delivered with a focus on nutrition, menu planning, food production, technological developments and the catering industry overall. During a normal school week, there are three types of lessons delivered for the course. These are practical, assessment and theory. During practical sessions, students are expected to work as a team and develop professional skills found in good restaurants and hotels. There is a strong emphasis on hygiene, safety and organisation. Dishes produced have included pan-fried fillet of salmon with a herb crème fraiche, sticky toffee pudding, and sautéed chicken marinated with chilli, coriander and lime. Professional practices are promoted with special attention to the preparation, cooking and presentation of food. Assessment sessions involve the planning of the practical assessments (worth 60%) from the development of the initial ideas though to the costing’s of the final dishes. Menu planning principles are promoted with the aim to produce dishes that are colourful, tasty and well presented. Theory lessons underpin the practical sessions and are used to prepare for the final examination. Topics include types of vocational opportunities within the catering industry, menu planning, safety at work, catering terminology and theory relating to the preparation and cooking of food. Textiles are part of our everyday lives. From the clothes we wear and the interior furnishings we choose, to building materials and the health industry. There are many different and exciting applications for Textile use as it is such a flexible medium, offering so many diverse solutions to a wide variety of design problems and it continues to develop at a fast rate. 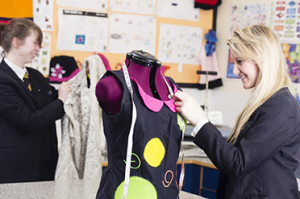 We aim to ensure that students cover the basics of Textiles as well as teaching them about and allowing them to experience the latest developments and issues in Textiles Technology. 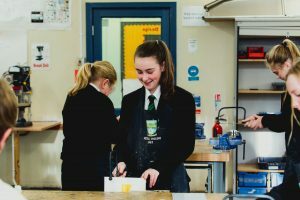 Our approach allows students to be creative and support them to develop their skills, knowledge and understanding to be able to design and produce quality products. 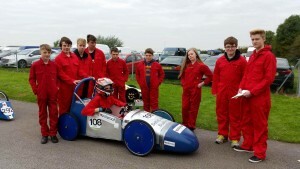 The Edexcel BTEC Award in Engineering provides an engaging, robust, broad-based introduction to engineering. It provides underpinning knowledge, understanding and practical skills that reflect the needs of employers and higher and further education professionals. It presents knowledge, skills and understanding in a meaningful work-related context, to allow learners to understand theory and application. There are two core Units that students take to underpin the knowledge and skills valued in the engineering sector. One core unit focuses on essential knowledge, and the other core unit focuses on applying essential vocational skills. 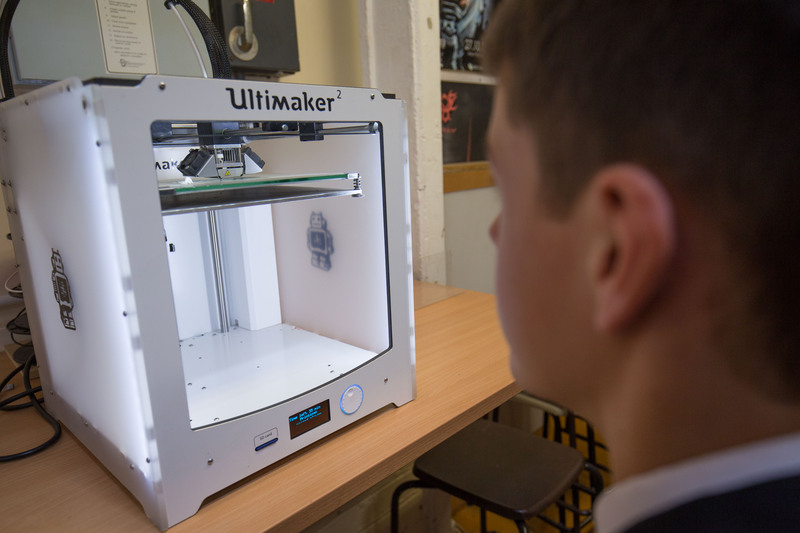 Students also undertake two additional units, one looking at Engineering Materials and another looking at the use of CAD and CAM in Engineering. The nature of Level 3 work is quite different from GCSE. Students need a flair for the subject and the ability to sketch ideas quickly. The pace of work is significantly greater than at GCSE and the depth and range of theory is much more comprehensive and demanding. This qualification is made up of four mandatory units and two optional units. All units must be completed to achieve the full qualification. 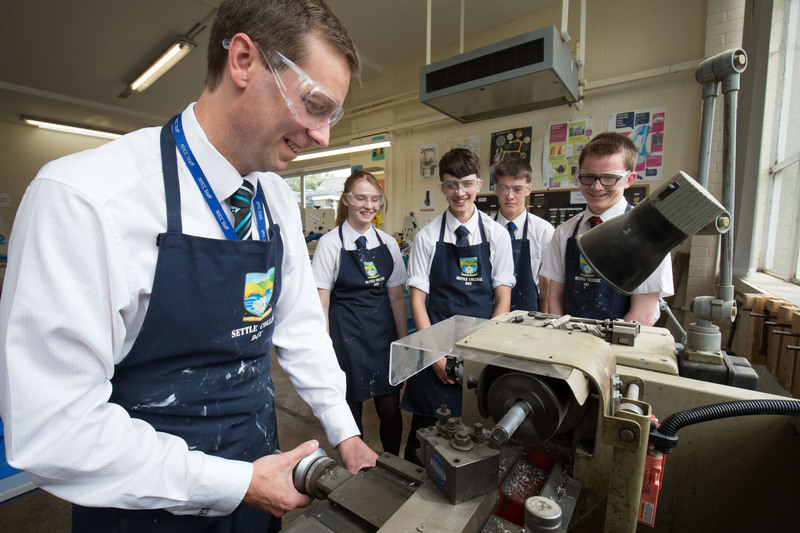 The OCR Cambridge Technical Level in Engineering will allow students the opportunity to learn and understand the core principles and technologies that underpin modern engineering. It will provide them with opportunities to develop sound practical engineering investigation, design, construction, and testing skills which are critical to being a good technician and/or incorporated engineer. The qualification has been developed with reference to relevant National Occupational Standards to ensure it offers opportunities to demonstrate key industry relevant skills. plant and process principles and applications. Students who achieve this qualification will have a range of options, as studying this qualification does not restrict future progression into one particular route. The qualification can be taken alongside a Level 3 Maths qualification and an EPQ to fulfil the requirements of the Technical Baccalaureate. This qualification could be taken alongside complementary subjects, such as A-Levels in Maths and/or Physics or other technical vocational qualifications to form part of the student’s basis for application to a Higher Education (HE) course (Degree, Foundation Degree, HNC/HND) in specific related Higher Education courses such as Electronic Engineering, Mechanical Engineering, Mechatronic Engineering or general engineering courses. It must be stressed that the nature of the work at AS-Level and A-Level is quite different from GCSE. Students will need a flair for the subject and the ability to sketch ideas quickly. The pace of work is significantly greater than at GCSE and the depth and range of theory is much more comprehensive and demanding. One internal and one external units. Develop and sustain innovation, creativity and design and technology. Develop the capability to recognise constraints and to produce high-quality products. 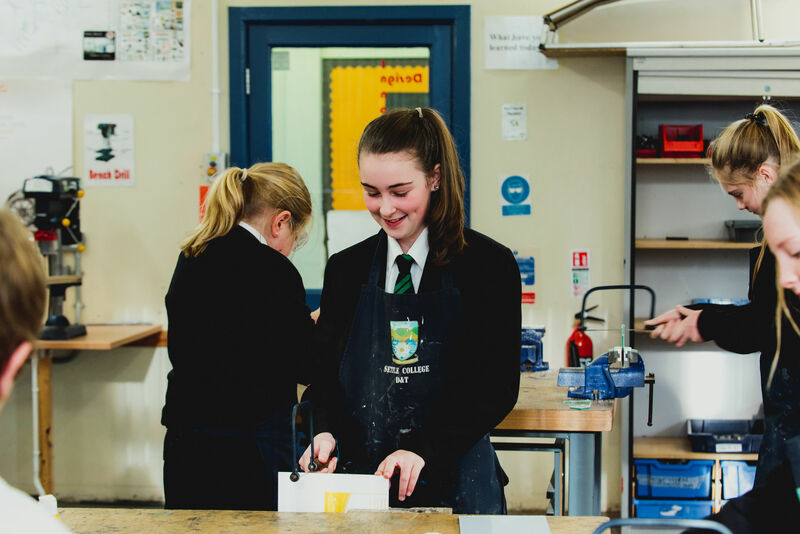 Develop critical understanding of the influences of the processes and products of design and technological activity, from a historical perspective, and in current practice. Apply essential knowledge, understanding and skills of design production processes to arrange of technological activities, and develop an understanding of industrial practices. 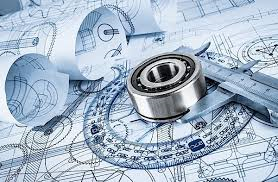 Use Information and Communications Technology (ICT) to enhance their design and technological capability via the use of CAD/CAM. Recognise the social, moral, spiritual and cultural values inherent in design and technological activity and develop critical evaluation skills in technical, aesthetic, ethical, economic, environmental, social and cultural contexts. Develop positive attitudes of co-operation including working collaboratively. 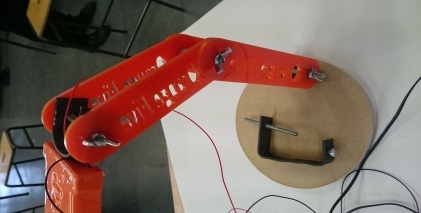 Many students progress through to Art College and onto a Design Degree; some use Product Design as a stepping stone into all areas of Engineering and Graphic Design. This could include furniture, interior, product, graphic and theatre design. 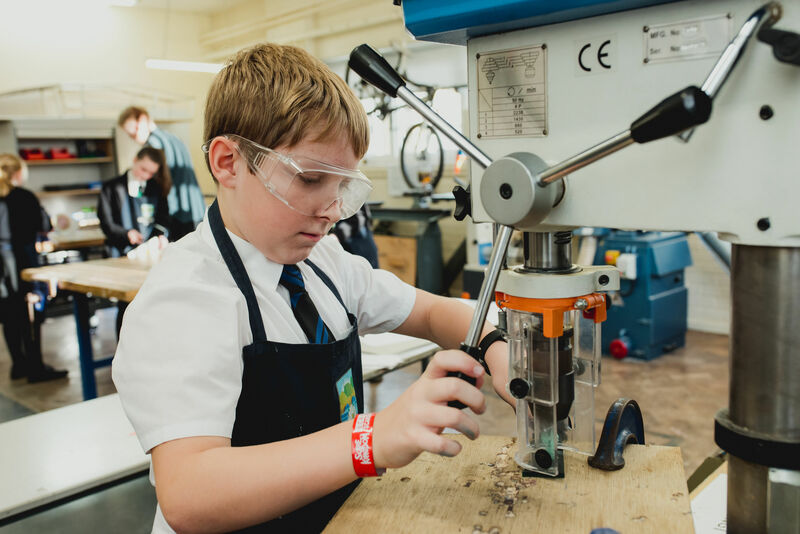 Year 7 STEM Club takes place fortnightly, allowing students to experience a wide range of challenges during the year. STEM Club for students in Years 9 to 13 takes place after school from 3.30-5.30 in room C3. 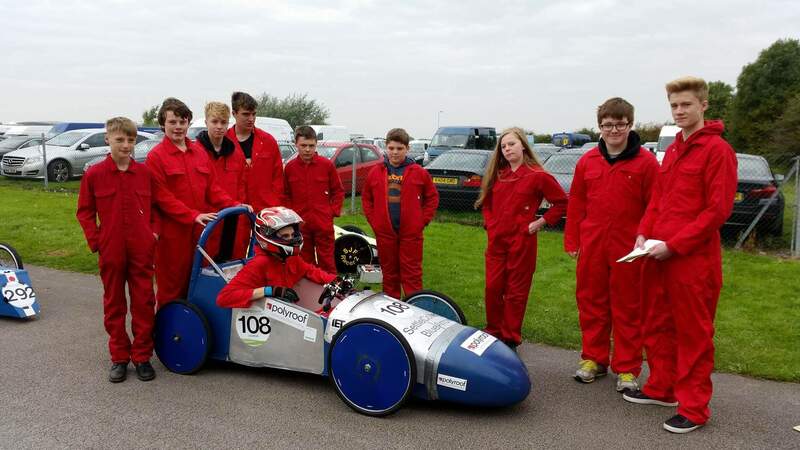 Students concentrate on the Greenpower Competition, designing and making an environmentally friendly electric powered vehicle to compete against schools from all around the country.